Pictured is a pewter like metal embossed tip tray from the Excelsior Brewing Company in St. Louis, MO. The Excelsior Brewing Company was based on the South Side of the downtown Saint Louis area. 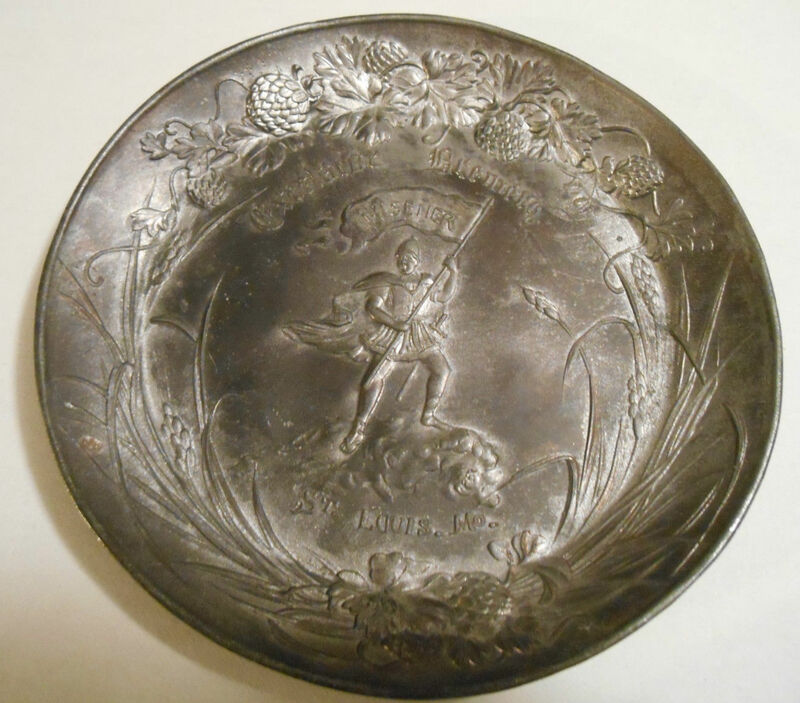 This tray has an image of a knight with his flag in his hand. The knight was used on many Excelsior Brewing Company advertising items including etched shell beer glasses, which came in several varieties.